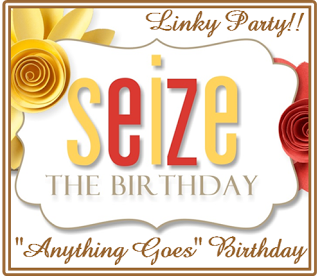 Anything Goes Birthday at STB! Card Details: MFT-Adorable Elephants-Stitched Rectangles, Happy Birthday stamp from who knows where, Prisma colored pencils, and felt. Categories: Cards | Tags: Card making, Cards, Happy Birthday, my favorite things, rubber stamps, stamping | Permalink. That’s a darling birthday card. 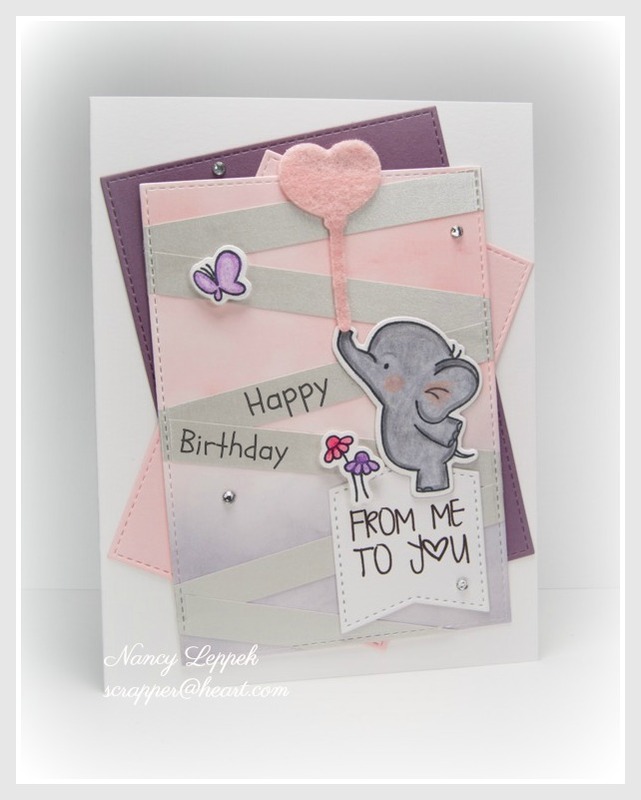 Cute layout and love the elephant. This is adorable!!! I love the pink and purple tilted panels and that you replicated the colors on the front panel! The gray zig-zag stripes are great touch! Love the felt heart balloon too! Have a wonderful weekend, Nancy! This is so cute, Nancy. I love all the details that make it such a fun card. Your cards are always so happy, Nancy! That adorable elephant makes me smile! This is so cute Nancy. Love the adorable elephant and the great background. So adorable! Great layers and I love the felt balloon too. Hugs – good luck with all the wedding stuff! Yippee skippee!! yes, please do share pictures : ) I’m so excited for all of you! Loving the wonky panels and the felt balloon too. So different and clever of you.